Apart from the usual sightseeing and going to the vineyards and their tasting rooms, there are attractions and some things to do in Napa Valley that are out of the ordinary. You may want to put some spin into your standard wine tours by looking for unique wineries. The Raymond Vineyards, for instance, has several event rooms that cater to guests for a one-of-a-kind experience. These rooms include the Red Room, a members-only event where guests wear costumes reminiscent of the roaring 20s, and the Blending Room where guests make their dreams come true as winemakers for a day. Or the Castelo di Amorosa, a massive winery inspired by the 13th-century Tuscan architecture. You don’t have to wear period-appropriate costumes to explore the interiors of this Dario Sattui-owned Medieval castle, complete with moat, defensive towers, interior courtyard, drawbridge, even a torture chamber which contains an authentic iron maiden! Besides drinking wine, you can also find and drink other beverages such as sparkling wines and spirits. Napa Smith is the region’s only brewery where you can sample their products like the organic IPA, Bonfire Imperial Porter, and Hop Java Pale Ale. Charbay Winery & Distillery, on the other hand, produces spirits such as whisky, rum, and several kinds of flavored vodkas. Napa Valley isn’t all about wines. It also has a strong emphasis on culture and arts. But then, people who appreciate fine wine are most likely to appreciate fine art as well, and that’s why Napa has hundreds of museums and also holds art events throughout the region. Check out some cheeky art at di Rosa, enjoy contemporary art at Aerena Gallery, and realism artworks at Quent Cordair Fine Art. Both wine and art lovers are also lucky to find art galleries and art collections inside wineries such as the Hess Collection, Markham Vineyards, and Ma(i)sonry. The majestic natural beauty of the Napa Valley inspires people to be outdoorsy. Hiking is one of the popular things to do in Napa. There is little surprise that there are many hiking and camping/RV spots in the region such as the Bothe-Napa Valley State Park and Skyline Wilderness Park. A hot air balloon ride is also one of the more unusual but fun things to do in the Napa Valley. From several thousand feet floating above the ground, you can view the neat, gorgeous rows of the vineyards, the deep valleys and the rolling hills as the warm rays of sunrise greet the lush beauty of the valley. You cannot help but take photos to capture all of the beautiful scenery! 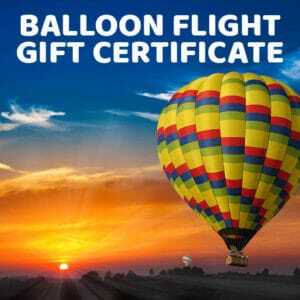 Enjoy more than just a hot air balloon ride with Balloons Above the Valley (BATV), the pioneer in hot air balloon rides in the Napa Valley. 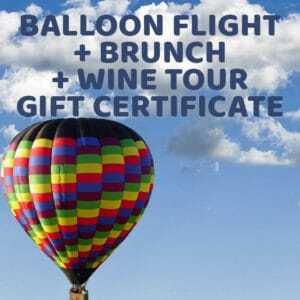 We offer more than just hot air balloon rides, but also other perks such as fresh pre-flight breakfasts, post-flight brunch celebrations (with sparkling wine), tours around the Wine Country via luxury transportation, gourmet picnic-style lunches, wine and olive oil tasting, and so much more! Even if you don’t choose to fly with the other guests, you may follow them from the ground and still be able to attend a brunch celebration with them! Napa Valley is more than just vineyards, wineries, wines and tasting rooms. The area offers much more opportunity for discovery, fun, and adventure. So please do not hesitate to try more of the out of the ordinary things to do in Napa Valley. Who knows, those unusual activities you find may make your trip to the Wine Country even more memorable and special.